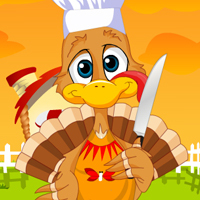 Here we have a beautiful funky turkey for thanksgiving and you need to dress the turkey for the nice party we will have this weekend. He wants to have one last dinner with his loved ones. So make sure she look perfect for thanksgiving.